The films of the New Directors Competition receive votes from the audience, after being screened in the first week of the Mostra. The movies with the most votes will be submitted to the Jury, which will rate and choose the winners of the Bandeira Paulista Prize —a creation of the artist Tomie Ohtake— in the category for best film. The juries can also award movies in other categories. 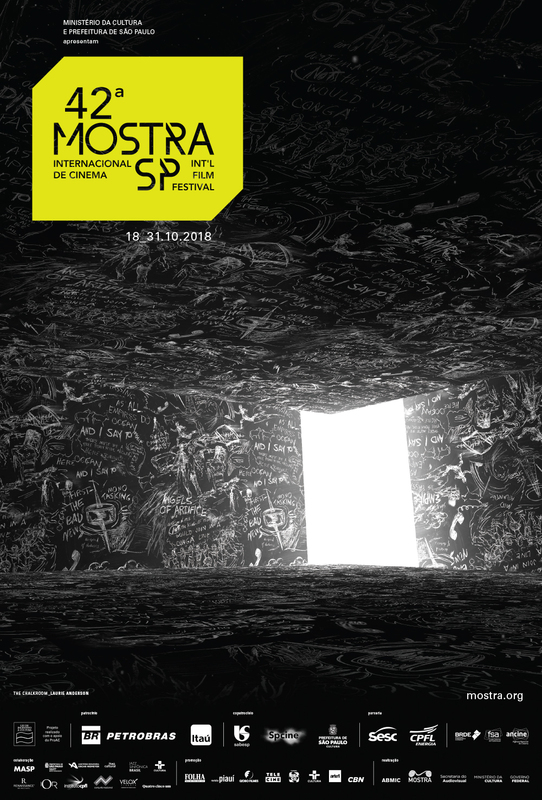 Meet the Jury of the 42nd Mostra. Originally from the South West of France, Astrid was born in Madagascar and grew up in the West Indies. Actress, she began her career in theater and was casted to many independents French films by directors such as Pascale Bodet, Nicolas Leclere and Pierre Merejkowsky. Astrid, however, has in filmmaker Paul Vecchiali a partner —she is the protagonist of his contemporary movies. She acted in White Nights on the Pier (2013, 38th Mostra), C’est l’Amour (2015, 39th Mostra) and Les 7 Déserteurs (2017, 41st Mostra), in addition to the new Life Trains or the Travel of Angelique, screened at the 42nd Mostra, of which she is the protagonist. In her career as a director, Astrid made two short documentaries: Mé Damné (2013), about her rapprochement with her aristocratic uncle, and Ma Fleur Maladive (2013), in which she reflects about a friendship that ended years ago. Nowadays, she is writing her new movie, The Forgotten Scar. Born in Rosario, Argentina. He is graduated in economic sciences and international relations. Tenembaum moved to Paris, where he started to produce documentaries for directors such as Amos Gitai, Marc Huraux, Eyal Sivan and Pola Rapaport. Later, began to work with fictional feature films, with a particular focus in coproduction with Israel and countries of Latin America. He also participated of several committees in support of cinema in France and abroad. In partnership with Gérard Lacroix, he founded the company Tu Vas Voir, responsible for the production of several titles, like Dover Koshashvili’s Late Marriage (2001), Walter Salles’s The Motorcycle Diaries (2004), winner of the Oscar of best original song, Jayro Bustamante’s Ixcanul (2015, 39th Mostra), which received the Alfred Bauer Award at Berlin International Film Festival, and Eliane Caffé’s The Cambridge Squatter (2016), winner of the Audience Award of best Brazilian fiction at the 40th Mostra. Born in Istanbul in 1959, Ferzan Özpetek moved to Italy in 1976 to study History of Cinema at Rome University. He also attended courses of History of Art and Stage Direction. He worked for Living Theatre, led by Julian Beck, before turning to cinema. From 1982 on, he became assistant director in films by Massimo Troisi, Ricky Tognazzi and Marco Risi. He directed his first film, The Turkish Baths, in 1997. Özpetek also directed, among others, the features Harem Suare (1999), The Ignorant Fairies (2001), The Window Opposite (2003, 27th Mostra), Sacred Heart (2005, 29th Mostra) and A Perfect Day in 2008, same year that the Museum of Modern Art of New York dedicated a retrospective to his complete work. After that, he made the features Loose Cannons (2010), Magnificent Presence (2012), Fasten Your Seatbelts (2014) and Istanbul Red (2016). His most recent work, Naples in Veils, will be exhibited at the 42nd Mostra. Born in Salvador, Bahia, Brazi, in 1969. His career as a filmmaker has begun in 1993, when he directed the short movie Troca de Cabeças. After 1995, he started to work with Walter Salles, acting as assistant director in Central Station (1998) and Behind the Sun (2001) —for this last movie, he was also a screenwriter. Machado also wrote the script for Madame Satã (2002), directed by Karim Aïnouz, with whom he has also made the screenplay for the television series Alice (2007). As a director, his work include At the Edge of the Earth (2001), winner of the Jury Prize for Best Documentary at the 25th Mostra, Lower City (2005, 29th Mostra), his first fictional feature, a short film O Príncipe Encantado (2009, 33rd Mostra), The Two Deaths of Quincas Wateryell (2010), The Violin Teacher (2015), winner of the Audience Award for Best Brazilian Fiction at the 39th Mostra, and the documentaries Aqui Deste Lugar (2015) and The Fight of The Century (2016, 40th Mostra). Born in Portugal in 1966. In the 1980s, she participated, as an actress, author and director, of the theater group of the Superior School of Fine Arts of Lisbon. Teresa also performed in movies such as Hovering Over the Water (1986), by João César Monteiro. She made her debut as a director and scriptwriter with the feature film Alex (1991). From her, the Mostra exhibited Two Brothers, My Sister (1994), winner of the best actress award (Maria de Medeiros) at Venice Film Festival, The Mutants (1998), Water and Salt (2001), Cold Wa(te)r, short that form the feature Visions of Europe (2004), Trance (2006), Swan (2011) and Sara and Her Mother, part of the collaborative movie Bridges of Sarajevo (2014). In 2017, she directed Colo. There have been retrospectives of her work in France, Italy, and Portugal and she collaborated with several schools, namely the University of Évora in Portugal and the Haute École d’Art et du Design de Genève in Switzerland. Her most recent work, Galileo’s Thermometer, will be presented at the 42nd Mostra.